Blade is bevel down with 45-degree angled tip. 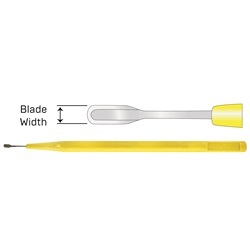 Blade is bevel up with 45-degree angled tip. Blade is bevel up with straight tip.